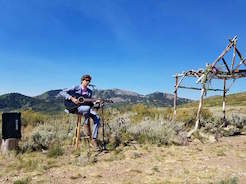 ﻿(Buster Pike) Wyatt Pike, a Park City High School sophomore, plays guitar during a wedding reception last year. The 16-year-old, who works for Mountain Town Music, was given a partial scholarship into the Berklee School of Music’s five-week performance program this summer. To help offset the remainder of the cost, Pike will play a benefit concert, “Berklee or Bust Benefit,” on Saturday. 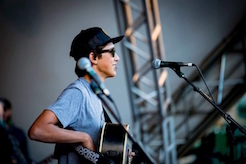 ﻿(Melissa Eldredge) Guitarist Wyatt Pike smiles while playing guitar at Deer Valley’s Snow Park Amphitheater last August. Guitarist Wyatt Pike sure gets around. This Saturday, the public can see and hear Pike at 7:30 p.m. at his home, 4363 Willow Creek Drive. The performance, titled the "Berklee or Bust Benefit," is free, although donations will be accepted. "The goal is not necessarily as a fundraiser, but a way to get people together and get to know what I do," Pike told The Park Record. "They will see me and I'll get to play for them. "I really appreciate everything that my parents have done to help plan this event, and their general supportiveness of my music." The donations, if anyone is inclined to make one, will help offset the cost of attending a five-week performance program at the Berklee College of Music in Boston, Massachusetts. Pike was recently granted a partial scholarship to the program, which will run from July 8 to Aug. 11. "The cost of the five-week course is $8,000, and it includes room, board, food and courses," he said. "I did a songwriting course there last year for a week and loved it so much that I'm going back to for five weeks." Saturday's performance will be comprised mostly of cover songs, Pike said. "I might do some originals, depending on how things go," he said. Pike's path to music started at the piano when he was in grade school. "My mom encouraged me to start playing, and I was like, 'Sure, let's do it,'" he said. "I took lessons from a woman down the street and loved it." Shortly afterwards, Pike saw his friend play the guitar, and wanted to try his hand at it. "I think I was 10 or 11," he said. "I had guitars when I was little just to play with, but I started taking lessons and couldn't put it down." Although Pike looks up to various professional guitarists, such as former Guns N' Roses' axeman Slash, he cites his parents as his main musical influences. "I would go to concerts with my dad and we'd talk about the guitarists," Pike said. "I don't know. I just always wanted to play." The drive to play helps Pike learn new things about the guitar. "When I started playing, I never thought about how you could take one scale and play it in different spots," he said. "I also didn't think about how challenging playing the guitar would be. I figured I could learn a couple of chords and then away I'd go. But there's a little more to it than that. "It's awesome because I see videos online about new techniques and I'm like, 'What? You can do that?' 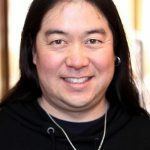 "
While Pike was playing in the Utah Conservatory's Rock Band program three years ago, he saw an ad in The Park Record about a partnership between Park City's Mountain Town Music and Salt Lake City's MusicGarage.org, two local nonprofits that focus on music and music education, respectively. "I was ready to expand my horizons, so I auditioned for the program and got into it for that summer," Pike said. "We played at Deer Valley Resort, Park Silly Sunday Market and other places." The next summer, Mountain Town Music partnered with Park City's Granger School of Music, and Pike joined that throng. "I've always gone to concerts and have always wanted to be on stage because I'm so fascinated with playing the guitar like those guys I saw," he said. "I love that a guitar becomes a part of you when you play live. Whatever the song may be will change how you feel on stage. It's a cool experience." Playing concerts for Mountain Town Music introduced Pike to the nonprofit's director Brian Richards. "When I wasn't playing, my parents and would I go to the summer concerts and a couple of years ago Brian suggested I volunteer for him," Pike said. Pike volunteered at Billy Blanco's stage at Quarry Village. "I was as a 'sound minion' with Davey Moffat," he said. "I helped set up the system and actually helped running the sound board a little bit." After volunteering for a while, Richards asked Pike if he wanted a job. "Last year, I worked nearly 100 shows," he said. "I mostly sold merchandise and Mountain Town Music memberships." Pike's ultimate goal is to play music. "Whatever that may be after high school and college," he said. "I don't really know what my plan is after high school, but I would love to study music at a university or just try to go for it. All I know is that I would just love to perform, write and record." Pike's go-to guitar is a Gibson Les Paul. "I have a standard that was made in 2009, and I use 10 gauge strings," he said. "I also have an Eastman AR371." Pike also has a "trusty" acoustic guitar, an Art & Lutherie Q1. "I think I can play very well, but I would love to go off and just shred and solo better," he said. Wyatt Pike will perform a "Berklee or Bust" benefit at 7:30 p.m. on Saturday, May 13, at 4363 Willow Creek Drive. The event is open to the public. Food and drinks will be provided. Optional donations will be accepted. For information, visit http://www.wyattpike.com.